Fashion shows are such an exhilarating experience for the organizers, models and the audience. I know some people have their opinions on fashion shows, mostly, “I would never wear that!” But our fashion show was completely different. We showcased Ann Taylor’s latest trends for the upcoming summer season and educated the audience on how to pair those outfits with vibrant, yet affordable, statement pieces. Opulent Events by Gracie reached out to the Empowering In Heels team about this opportunity and it was one we could not pass up. The event was to host a celebration of a new event space in Philly called INDIE. Longtime residents of Philadelphia know this space as the old Egypt Nightclub. Gracie was looking for an additional wow factor for her event and asked if we would be interested in hosting a fashion show during her event. Did someone say fashion show? Yes, please! It truly was a no-brainer and I knew exactly who to turn to for the wardrobe: Ann Taylor in Philadelphia. We needed to make sure the fashion we would be showcasing would be a showstopper. Also, I wanted to be sure each outfit would resonate and be relevant to the audience. We knew the majority of the audience would be professional working women, which made Ann Taylor a perfect fit. With this fashion show, we could easily showcase how versatile each article of clothing, and accessory, would work with their busy lifestyle – all without breaking the bank. I personally love everything about Ann Taylor’s collections. I’m always rocking their looks and I confess that 85% of my closet was purchased from their stores. When I am passionate about a collection, I want to show others how they can achieve the same strong and professional look. On to the show. I loved everything about it! A huge thank you to the fabulous models for representing each outfit perfectly. And a very special thank you to the one and only Rebia Smith for emceeing the event. Rebia did an unbelievable job explaining (in very precise detail) each piece and how and where to wear it. Every person, male and female, left feeling inspired and had key takeaways on how to spice up their look (or their significant others style) for the upcoming season. Below you will find outfit details of each ensemble along with video clips from the fashion show. Enjoy! Ann Taylor Philadelphia is located on Walnut Street between 16th and 17th in Rittenhouse Square. Their team members are extremely knowledgeable and happy to meet with you to discuss your personal style, wish list and pull outfits together for you to try on. Whether you know a thing or two about fashion or nothing at all, no worries, they have you covered. Stop in today to meet the amazing fashion showcased above and introduce yourself. You will be glad you did! Which outfit was your favorite from the fashion show? Opulent Events by Gracie a vibrant, innovative, full-service events company whose mission is to strategically create, plan, and execute the most memorable events. Carl Alan Floral Designs offers a variety of floral arrangement and designs for all of life’s special moments. Make your next event memorable with a floral design from Carl Alan! The Onyx Urbane provides photography and videography for upscale events, promotional images for companies and business minded individuals. Check out their website for additional services. Thank you again to Ann Taylor in Philadelphia and our strong, beautiful models; Dana, Tammy, Maureen, Maggie, Mannish, Abby and Rae. 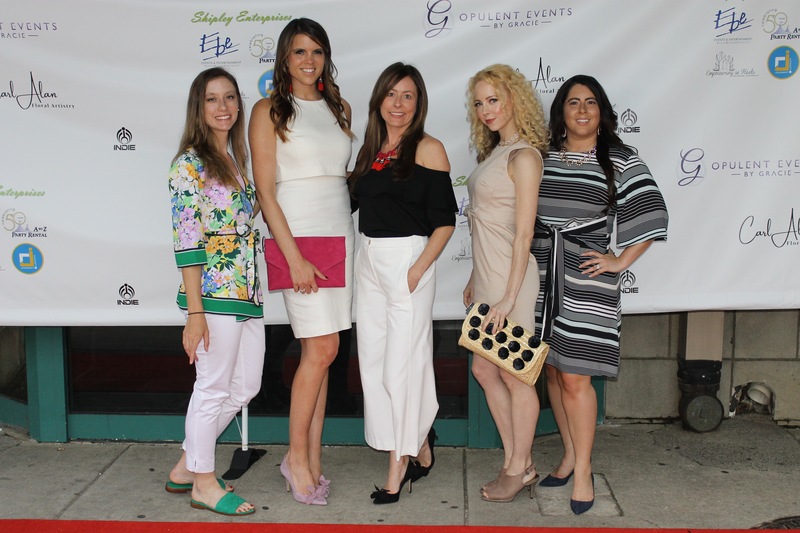 An even BIGGER thank you to Rebia and Rae from Ann Taylor Philadelphia for making this event possible. Well done ladies! Great event! Loving all the photos and shopping through your blog!